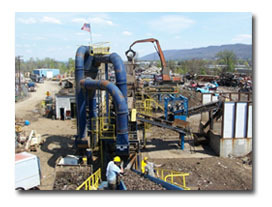 Penn Recycling, Inc. processes and ships various ferrous and non-ferrous scrap recyclable materials. The company operates a fleet of trucks, tractors and trailers and a number of cranes, loaders, flatteners, crushers and heavy processing equipment at our Williamsport, Pa facility. Located at 2525 Trenton Avenue, the company is in close proximity to Lycoming County’s industrial base, which allows for expeditious and efficient truck service. We offer roll-off container service for the storage and transportation of scrap materials. 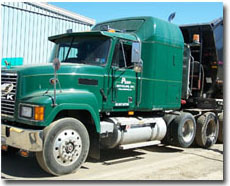 In addition, dump, flat and van trailer service is available. Penn Recycling, Inc. purchases scrap metals from industry, government, auto wreckers, demolition contractors, farms, scrap yards, bridge contractors, insurance companies and the general public from a radius of over 250 miles. Our prompt service, very competitive pricing, state-of-the-art recycling and processing equipment and environmentally and safety oriented operating procedures have contributed to loyal customer satisfaction. Scrap steel materials are processed at our shredding and/or shearing facilities located on Trenton Avenue. The materials are weighed upon one of our two(2) 70’ certified truck scales where, at the same time, scrap is monitored for radioactive contamination by our state-of-the-art radiation detection systems. Certified computerized weigh tickets are forwarded to all scrap accounts along with payment. The many scrap products that we produce are delivered to steel mills and foundries via truck and rail throughout the East and Midwest. Non-ferrous materials such as aluminum, copper, brass, automobile radiators are processed at our baling facility and warehouse located on Trenton Avenue. Materials are sorted and packaged according to consumer specifications and shipped accordingly.